Dog Ear Infection- Frustrating Causes Revealed! Ear infections in dogs are very common,and often frustrating. Owners find them frustrating because they are difficult to treat: frequently instilling medication into your dog’s painful ears hurts your dog, makes him wary of you and that medicine bottle, undermines the bond of love and trust between you. It makes you feel bad. Treatment can take 1- 3 weeks, depending on the severity of infection. Recheck appointments at the vet are expensive and time consuming in our busy lives. If you try to use over-the-counter or internet-recommended “home cures” you almost always have recurrence or persistence. Ear infections recur or persist even with professional help. It seems like your vet can’t them under control! Owners, know that your veterinarian is right there with you! It’s such a frustrating condition that there are hundreds of lectures/ articles/ web chats about ear infections every year! To understand why ear infections are such a pain in the (r)ear, you first have to understand what causes ear infections. Basically, ear infections of the outer ear canal, “otitis externa”, are caused by an overgrowth of bacteria or yeast, or both, in the ear canal. Otitis externa is a painful condition. It is akin to “swimmer’s ear” pain in people. What conditions allow for the overgrowth of organisms? 1) Water in the ear. Bathing and Swimming allow water to get in the ear. This extra moisture allows the normal bacteria and yeast in the ear canal to overgrow. PREVENTION : Avoid getting water in your dog’s ears during baths. Place a cotton ball in the ear to absorb any accidental water drops. Use a drying ear flush after every bath. If your dog swims, flush his ears with a drying agent every day after swimming. .
2) Idiopathic. Many ear infections don’t have an obvious cause. These are usually treated fairly easily and are not recurrent problems. 3) Foreign Bodies. Grass awns (“foxtails”) and ticks are the most common “foreign bodies”. 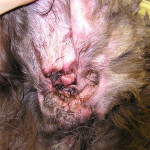 Treatment involves removing the foreign material and treating the infection. Pretty straight forward.
. Sometimes,. we are just afraid. 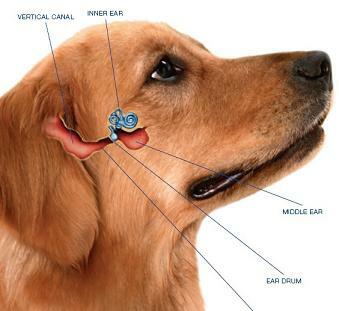 Be assured that you can almost never damage the ear drum with a medication nozzle designed for dogs! especially when the ears look good to the naked eye! But, unbeknowst to the casual observer (without an otoscope to see into the deepest recesses of the ear canal, all the way to the ear drum), the infection could be lingering! This is why that vet recheck is so critical to treatment success! 6) Treating the surface of the ear goo and not the “bugs” causing the problem. This is a common error in treating ear infections. There is a huge amount of discharge produced by the ear infection organisms. 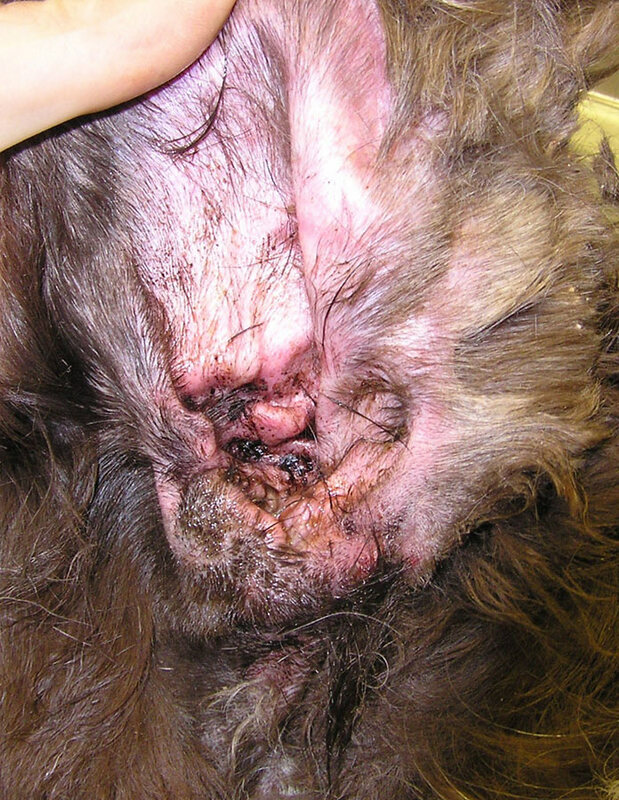 If you are using topical therapy and there is so much debris filling your dog’s ear that the medication is only treating the surface of the discharge and not the organisms on the skin, you won’t get anywhere- no matter how many times you re-visit the vet! These ears have to be deep cleaned. This does mean anesthesia and the vet curetting out the discharge, flushing and collecting samples from DEEP in the ear, at the level of the ear drum, to get resolved. 7) Resistant Bacterial Infections. There are more strains of bacteria every year that are becoming resistant to the antibiotics that are commonly used. The only way to know if a particular infection is “resistant” is to culture the discharge and let the lab tell you. 8) Yeast or Bacteria Allergies. Dogs can actually become allergic to the yeast or bacteria that overgrow in their ears! This contributes to extra inflammation (heat, swelling, moisture) in the ear canals, which of course, contributes to More prolific growth of the organisms! You have to break the allergy cycle to control the growth! 9) Allergies to pollens and other inhaled allergens (anything people can be allergic to!). Allergies in dogs usually cause skin problems, rather than the eye/ ear/ nose/ throat symptoms that people get. The skin of the ear is just skin– it’s just dark, warm, moist skin. Extra nice for bacterial and yeast overgrowth! Again, the allergies have to be controlled so the conditions contributing to ideal organism overgrowth are removed and the infection can be cured. 10) Food Allergy. Believe it or not, FOOD allergies can cause recurrent ear infections! In the same way that inhaled allergies cause skin disease in dogs, so do food allergies. Again, ears are just specialized skin….! In fact, (and this is the crazy thing– but true!) Food allergies may ONLY cause recurrent ear infections! With no other symptoms! The best way to test for this is to place the pet on a Hydrolyzed Protein Diet (some dermatologists will use prescription limited antigen diets or home cooked diets) for 2-3 months. If the ear infections resolve with treatment as expected, you have your answer! 11) Metabolic Diseases. Hypothyroidism is the most common metabolic disease to cause recurrent ear infections. This is a common condition in middle aged to older dogs. It causes immune suppression, allowing abnormal bacterial/ viral/ yeast growth all over the body. The ears are just a common location. Hyperadrenocorticism (“Cushing’s Disease”) also causes recurrent or persistent ear infections through immune suppression. Your vet can test your dog for these conditions! 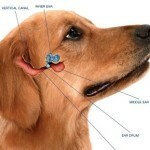 It is niether “normal”,healthy, nor nice, for your dog to have ear infections “all the time”. This is a painful condition that could be screaming, “There’s something else wrong, Dad! I need you to help me!” If your dog is showing signs of ear infection: pain in the ear, shaking the head or scratching the ear frequently, please have him or her seen by your vet right away! Treating infections early gives you the best chance for a full recovery and any underlying conditions can be determined sooner rather than later.